This book not only shows how to be a screenwriter, but what it's actually like to be one. An inspiration to all would-be screenwriters, this book is about living the screenwriter's life -- the habits, writing environments, creative processes, daily passions, and obsessions. 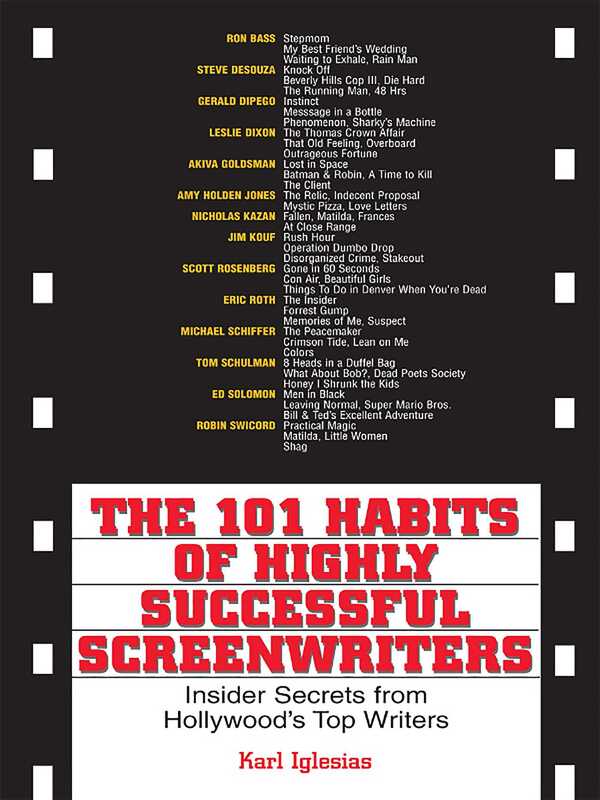 In The 101 Habits of Highly Successful Screenwriters, author Karl Iglesias has interviewed 14 top contemporary Hollywood screenwriters who offer their experience, insight, and advice to aspiring screenwriters everywhere.